There were plenty of talking points from this year’s Oscar nominations. Here are eight surprises, records and other interesting facts to have emerged from the shortlists. Martin McDonagh, the writer-director of Three Billboards Outside Ebbing, Missouri, missed out in the directing category – although he was recognised for the film’s original screenplay. The dark drama is one of the favourites for best picture, and winning that without a best director nomination certainly isn’t impossible – Ben Affleck managed it with Argo in 2013. Yet McDonagh’s surprise exclusion will be seen by some as damaging to its chances of taking the top prize. Get Out, the horror film starring British actor Daniel Kaluuya (pictured), performed better than some expected. It was nominated for best picture, while Kaluuya got a best actor nomination. Jordan Peele, the film’s writer-director, was also nominated for both best original screenplay and best director, making him only the fifth black director to be shortlisted in the latter category. British pair Sarah Greenwood and Katie Spencer are up for best production design for both Disney’s live-action remake of Beauty and the Beast and wartime drama Darkest Hour. Fellow Brit Jacqueline Durran (pictured) is also up against herself in the best costume design category, for the same two movies. Rachel Morrison (pictured), who shot Netflix racial drama Mudbound, has made Oscar history by becoming the first woman ever to be nominated for the best cinematography award. 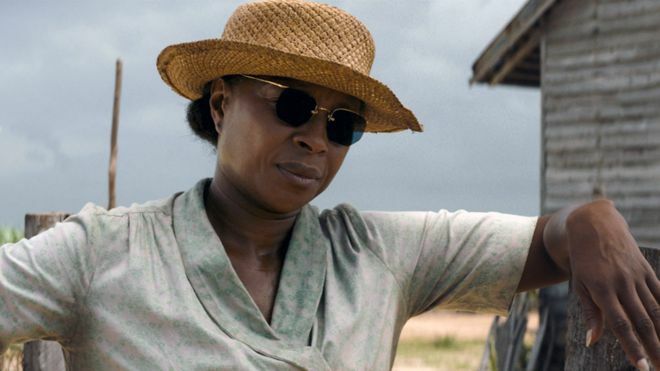 Mudbound star Mary J Blige has also rewritten the record books. While quite a few figures have been simultaneously nominated for both acting and screenplay (take a bow, Emma Thompson), Blige is the first person to receive nominations for acting and songwriting in the same year. The writer-director of coming-of-age story Lady Bird becomes only the fifth female film-maker to get a nomination in this category. Could she become only the second woman to win the award (after Kathryn Bigelow in 2010)? 6. 14th time lucky for Deakins? Roger Deakins has stoically clapped the best cinematographer winner 13 times now, after being nominated multiple times without a win. The British cinematographer, whose first nomination came way back in 1995 for The Shawshank Redemption, now has his 14th nomination for his work on Blade Runner 2049. It’s impossible to know for sure, but allegations of sexual misconduct against James Franco (which he denies) appear to have resulted in him failing to get a best actor nomination for The Disaster Artist. The allegations were made in the wake of Franco winning a Golden Globe for playing film-maker Tommy Wiseau in The Disaster Artist, which Franco also directed. While not a blunder of Envelopegate proportions, the Oscars website accidentally put up the full list of nominations while Tuesday’s announcement was still under way and before the nominees in many of the major categories had been officially revealed.